How much did he cost? (Somewhere along the line I must have gotten old, I can’t figure out how to find anything on the GW website nowadays and don’t really want to put the effort into figuring it out.) He/she/it looks great though. It has a Blanche feel to it with all of the grayish tones. You can find them here https://www.games-workshop.com/en-US/Be ... urgle-2018 But I'd hit up Ebay or Amazon and find them 20% cheaper. Everyone likes Furries, right? Right? 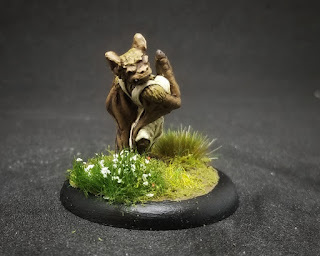 At the beginning of the Summer, a few blogs I follow started to feature minis and reviews of a game released this year by Oathsworn Miniatures called "Burrows and Badgers". 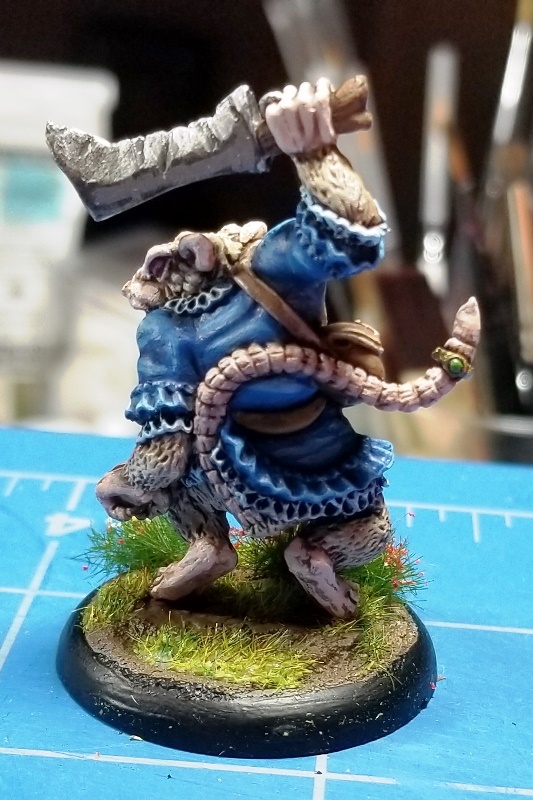 An anthropomorphic fantasy skirmish game, that's set in the wilds of northernmost England, though, not the England that we might already know, one that's all.... furred and feathered. 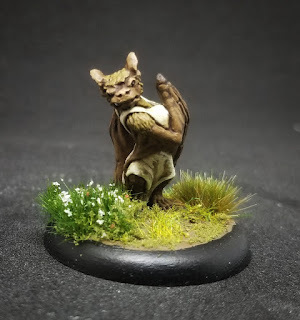 Aside from reading that the rules were really very good, that it has strong rpg elements and that their figures line were all one-piece beautifully cast metal minis - the one fig that stood out and dragged me into the game was a wee bat sorceress! 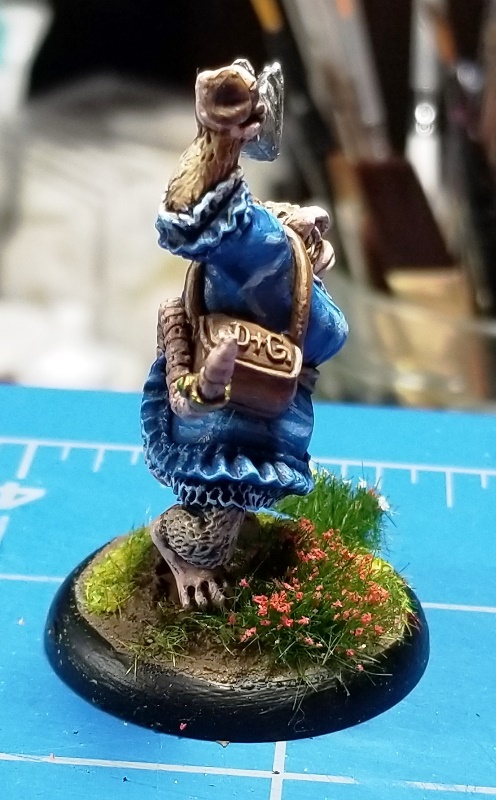 This is Millicent Duskward, a nasty little spell caster for my Rogues warband, The Red Toothe. 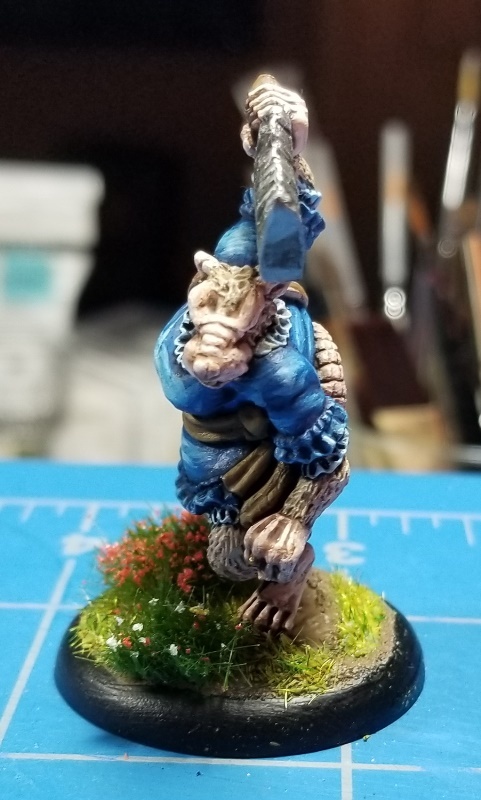 There are 5 more members of her gang and I'll be posting them as I paint. May I have it as my pet? May I, pleeeease? She’s SO cute! Don’t show this stuff to my daughter, we’ll end up with a house full of these. 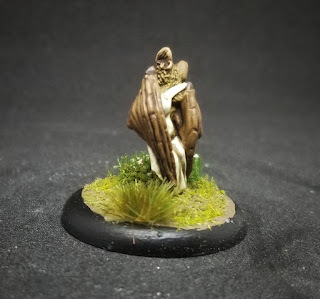 The basing looks fantastic by the way. Another Anthropormophic critter, the leader of The Red Toothe, "Ma Tuppence"! She's a nasty bully and rather foul tempered at the best of times. 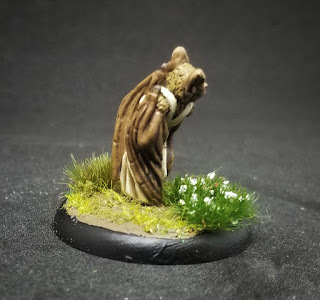 Wanted her to stand out from any future rats I plan to pick up so made her a little Albino-ish. Think the blue dress contrasts well with her fur.Lighting's a bit pants, so she doesn't look half as good as she does in person - apologies. 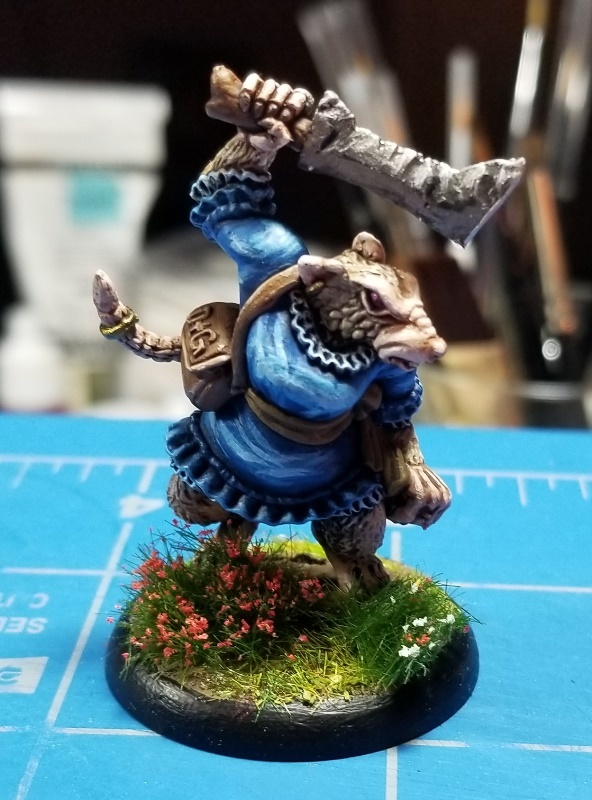 Rolling pin was a consideration, until I bought in to Oathsworn's latest Kickstarter and there was this lovely little Shrew with a rolling pin!